Complete pricing details on the new 2019 Fiat 500 are here. Everything you need to know about the new Iconic Fiat 124 Spider. Read all about the exciting Alfa Romeo Stelvio here. Why are Fiat enthusiasts crazy about their cars? 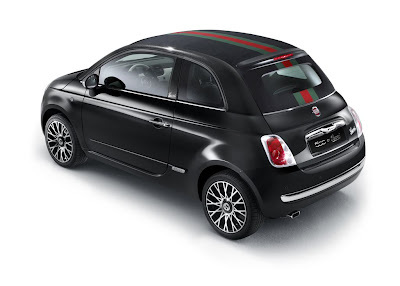 The Fiat 500 by Gucci is expected to be available in the US by the end of the year. In the below video, Lapo Elkann, one of the creators of the car, and great-grandson of the founder of Fiat, introduces the Fiat 500 by Gucci at the 2011 Geneva Motor Show. 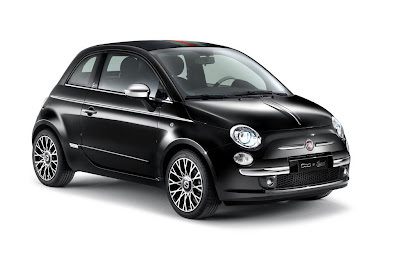 The Fiat 500 by Gucci has been very well received and to date, there are more than 3,000 pre-orders from around the world. 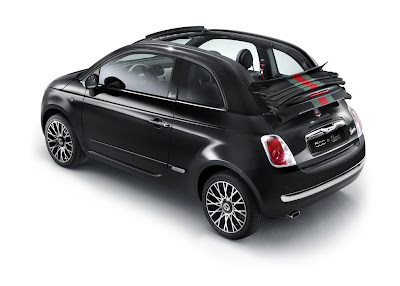 Recently added to the Fiat 500 by Gucci line is a Cabrio 500c version. In Europe, orders will start in August. The car will be distributed worldwide and from September will be on display in selected Italian Fiat showrooms. Orders for the US version are rumored to start in October. The new convertible version will be available in two colours: white with matte chrome-plated elements and glossy black with shiny chrome-plated accents. For both, the soft top is black and will have the characteristic green-red-green Gucci web pattern printed lengthwise (the same graphic pattern is sported on the side of the car). Read more about the Fiat 500 by Gucci here. Official 500 by Gucci website here. Join the discussion on the forum! Want to change the oil, install a shift knob or carbon fiber dash in your Fiat? It's all here! The Fiat 500c is a Hit on American TV! Click the logo for the latest Fiat 124 Spider news! Interested in sponsoring the most popular Fiat 500 website in the US? Join the Largest Fiat Club in North America! Fiat Press Releases, videos and pictures used with permission of Fiat Chrysler Automobiles N.V. (FCA). Images courtesy of FCA unless otherwise noted. Fiat500USA is an independent Fiat enthusiasts' site and is in no way connected to Fiat Chrysler Automobiles N.V. (FCA) and any of its subsidiaries. 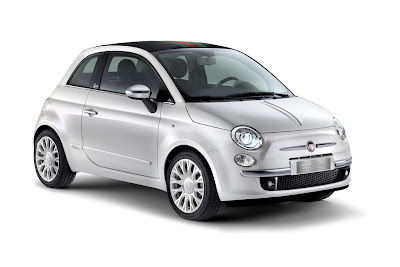 The use of all names, logos, trademarks or registered trademarks of their respective owners in this site are for reference only and does not imply any connection or relationship between fiat500usa.com and these companies. The opinions expressed are those of the author and are for entertainment purposes only. Copyright © 2009-2019 Fiat500USA,500USA, Abarthpower.com and FORZA500™. All Rights Reserved. Awesome Inc. theme. Powered by Blogger.